Gallionic – indifferent; careless, irresponsible, uncaring. Four out of five businesses find Trans Tasman data roaming charges are prohibitive to staff working in Australia a report on a survey released by Communications and IT Minister Steven Joyce says. The survey of 534 New Zealanders travelling to Australia prompted the New Zealand and Australian governments to conduct a joint investigation into whether regulatory intervention is required in the trans Tasman roaming market. “I am concerned at the number of business respondents who indicated that, because of the cost, they encourage staff to use data roaming only if they really need to,” said Mr Joyce. The majority of Kiwi businesses surveyed also encourage staff to minimise calling and texting when in Australia. Mr Joyce says he is hopeful that improvements in data roaming prices announced by some operators in recent weeks will go some way to alleviating this problem, but that the joint investigation will proceed. “The results of the survey will provide useful information that will help us determine whether roaming services are competitive. Australia is our biggest export market. Many businesses treat it as an extension of New Zealand and staff spend a lot of time there. High roaming charges are a serious inconvenience when it restricts the communication by phone or internet which are necessary parts of doing business. It’s not just Trans-Tasman costs which are prohibitive – roaming charges anywhere away from your own country are very high. I don’t know how the price charges relates tp the actual costs. But there must be a point where the revenue from the increased volume of calls would compensate for income lost by decreasing charges. When the media asked people what was in the Budget for them most looked at the small picture of direct assistance. Today’s announcement by Reserve Bank governor Alan Bollard that the official cash rate will stay at 2.5% is part of the bigger picture. From 1999 to 2008 Labour’s high spending policies which resulted in unsustainable growth based on consumption fuelled by borrowing kept pressure on interest rates. That increased costs for households and businesses. Since 2008 National has been focussed on reducing the burden of the state, cutting back room costs to the benefit of front line services. Most of us have got the message that the cure for our economic malaise is savings, investment and export led growth. Farmers are having the sort of year which probably only happens once in a generation but most are being very cautious with the unexpectedly good returns. Reducing debt is the major focus. All of this has taken pressure off interest rates and inflation. The real benefit of that from reduced costs for households and businesses is both greater and better than any direct assistance from government. I was asked to explain that about 35 years ago and took a long time to work it out. I’ll continue after the break in case you want/need time to get the explanation. Only two people know what happened in Annette King’s house in the early hours of the morning around three months ago. One of them made a complaint to the police about it and has name suppression. The other lost his job. Police said this afternoon that they had decided to take no further action after deciding the complaint against Hughes did not reach the evidential threshold required to bring charges. That might have been the end of it but the man against whom the complaint was laid was an MP. He says he did no wrong and his supporters say he’s now been cleared. Others say he hasn’t.
. . . a decision not to press any charges does not necessarily mean “nothing much happened – and certainly nothing criminal” … it may be that the police simply consider there isn’t enough evidence to justify charges (in that there is a low probability of a conviction being obtained). However, I suspect that if this comes down to a “he said”/”he said” situation with nothing much to back one side over the other, the police will err on the side of bringing matters before a court. In part, that’s because of a general awareness that such allegations have not been taken seriously enough in the past, and in part it’s because the police will be desirous of avoiding “cover up” allegations. Hence, I’d read a decision not to lay charges as weighing a bit more on the side of “nothing criminal happened” than on the side of “maybe something criminal happened, but there just isn’t enough to say for sure”. Only two people know which interpretation is correct. Hughes has paid a very high price for what, based on the facts made public (that he took a young man home after an evening of drinking), was at the best a grave error of judgement. The young man has also paid a high price for accepting that invitation and laying the complaint. Although his name is suppressed there’s enough information about him in the public domain for a lot of people to identify him. Hughes’ political fate was effectively sealed once the decision to try and keep the matter under wraps was taken by Phil Goff. Had the Leader of the Opposition handled things more adeptly, Hughes would still be a Member of Parliament. Phil Goff is in Greece for his son’s wedding. Given the strength of poison in the chalice of Labour leadership it’s unlikely that he’ll return to find someone has taken it from him. But it provides more ammunition for those who are preparing for a post-election coup. “Whatever I do, I would like to continue to serve our community and our country. But there’s plenty of time. He blames the media frenzy for forcing his resignation. He has a point – only two people know what really happened but a lot of column inches and air space were filled with speculation. The name suppression laws are also to blame. As soon as police said an MP was under investigation it became inevitable he would be named and enough was made public to narrow the field for anyone determined to identify the complainant. Only two people know what happened, one’s lost his career and will always be remembered for this episode. The other still has name suppression but he too will be known by many as the one who went home with Hughes on that night. Only two people know what happened there, both have paid a very high price for it. 53 Roman Emperor Nero married Claudia Octavia. 62 Claudia Octavia was executed. 68 Roman Emperor Nero committed suicide, after quoting Homer’s Iliad..
721 Odo of Aquitaine defeated the Moors in the Battle of Toulouse. 1310 Duccio‘s Maestà Altarpiece, a seminal artwork of the early Italian Renaissance, was unveiled and installed in the Siena Cathedral. 1534 Jacques Cartier was the first European to discover the Saint Lawrence River. 1595 King Wladislaus IV of Poland, was born (d. 1648). 1650 The Harvard Corporation, the more powerful of the two administrative boards of Harvard, was established, the first legal corporation in the Americas. 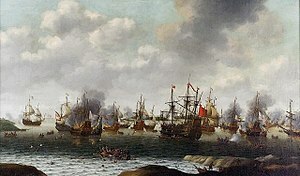 1667 The Raid on the Medway by the Dutch fleet began. 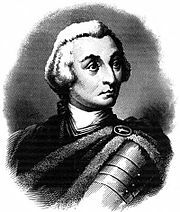 1732 James Oglethorpe was granted a royal charter for the colony of Georgia. 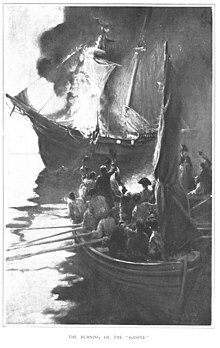 1772 The British ship Gaspee was burned off the coast of Rhode Island. 1781 George Stephenson, English mechanical engineer, was born (d. 1848). 1798 Irish Rebellion of 1798: Battle of Arklow and Battle of Saintfield. 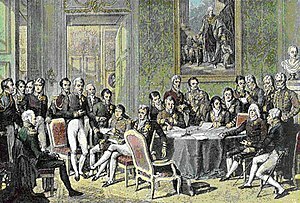 1815 End of the Congress of Vienna. 1856 Five hundred Mormons left Iowa City and headed west for Salt Lake City carrying all their possessions in two-wheeled handcarts. 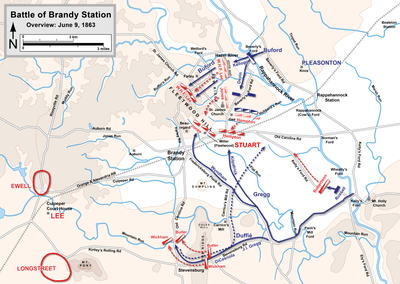 1863 American Civil War: the Battle of Brandy Station, Virginia. 1873 Alexandra Palace burned down after being open for only 16 days. 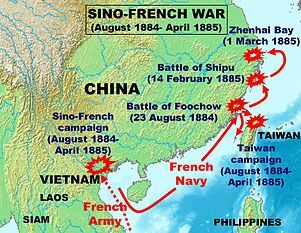 1885 A peace treaty was signed to end the Sino-French War. 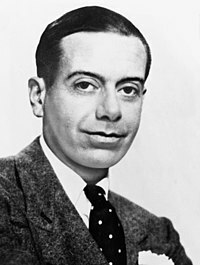 1891 Cole Porter, American composer and lyricist, was born (d. 1964). 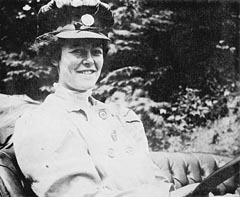 1909 Alice Huyler Ramsey, a 22-year-old became the first woman to drive across the United States. With three female companions, none of whom could drive a car, in fifty-nine days she drove a Maxwell automobile the 3,800 miles from Manhattan to San Francisco. 1915 William Jennings Bryan resigned as Woodrow Wilson’s Secretary of State over a disagreement regarding the United States’ handling of the sinking of the RMS Lusitania. 1922 First ringing of the Harkness Memorial Chime at Yale University. 1923 Bulgaria‘s military took over the government in a coup. 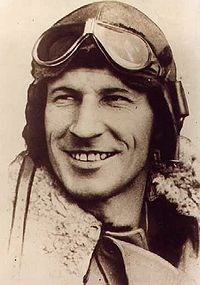 1928 Charles Kingsford Smith completed the first trans-Pacific flight in a Fokker Trimotor monoplane, the Southern Cross. 1930 Chicago Tribune reporter Jake Lingle was killed during rush hour at the Illinois Central train station by the Leo Vincent Brothers, allegedly over a 100,000 USD gambling debt owed to Al Capone. 1934 Donald Duck made his debut in The Wise Little Hen. 1941 Jon Lord, English musician (Deep Purple), was born. 1944 World War II: 99 civilians were hung from lampposts and balconies by German troops in Tulle in reprisal for maquisards attacks. 1944 World War II: the Soviet Union invaded East Karelia and the previously Finnish part of Karelia, occupied by Finland since 1941. 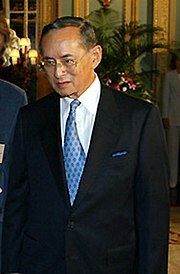 1946 King Bhumibol Adulyadej ascended to the throne of Thailand. He is currently the world’s longest reigning monarch. 1953 Flint-Worcester tornado outbreak sequence: a tornado spawned from the same storm system as the Flint tornado hit in Worcester, Massachusetts killing 94. 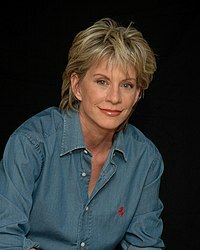 1956 Patricia Cornwell, American author, was born. 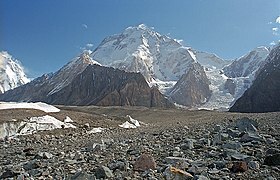 1957 First ascent of Broad Peak (the world’s 12th highest mountain). 1958 Queen Elizabeth II officially opened London Gatwick Airport. 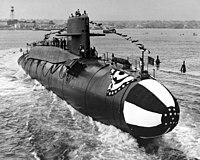 1959 The USS George Washington was launched, the first submarine to carry ballistic missiles. 1961 Michael J. 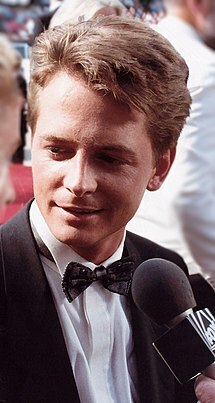 Fox, Canadian-born actor, was born. 1968 U.S. President Lyndon B. Johnson declared a national day of mourning following the assassination of Senator Robert F. Kennedy. 1973 Secretariat won the Triple Crown. 1978 The Church of Jesus Christ of Latter-day Saints opened its priesthood to “all worthy men”, ending a 148-year-old policy excluding black men. 1979 The Ghost Train Fire at Luna Park, North Sydney, killed seven. 1985 Thomas Sutherland was kidnapped in Lebanon. 1986 The Rogers Commission released its report on the Space Shuttle Challenger disaster. 1999 Kosovo War: the Federal Republic of Yugoslavia and North Atlantic Treaty Organization sign a peace treaty. 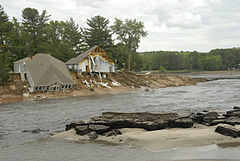 2008 Lake Delton drained as a result of heavy flooding breaking the dam holding the lake back. You are currently browsing the Homepaddock blog archives for the day Thursday, June 9th, 2011.